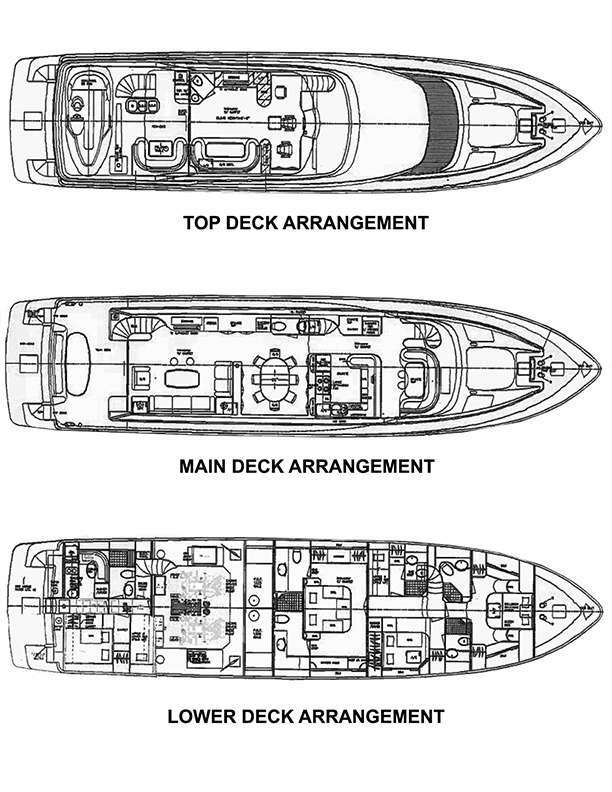 LEXINGTON features four staterooms each with ensuite baths, including his and hers bath in the master. Master includes a king bed, while the VIP and Starboard guest cabins include Queen beds. The port guest cabin includes bunk style twin beds.